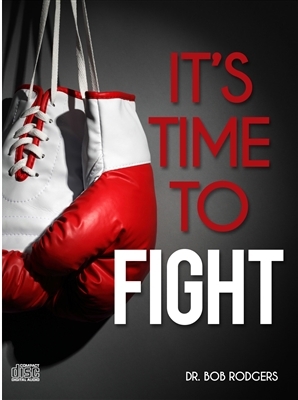 In Dr. Rodgers new teaching on CD you discover why now more than ever it’s time to fight your enemy. Satan has attacked America, your family and your life. How much longer are you planning to not do anything to change it? Now is the time to show the Devil that God is more powerful in you than all the demons of hell. Discover how you can finally make a real difference in the new teaching, It’s Time to Fight on CD or as an MP3 from Bob Rodgers Ministries. Call now 1-888-613-6080 or visit bobrodgersministries.org and get your copy today.